Some men like to keep spiky hair, and most of them look incredible because this style is suitable for most face shapes and hair types. The popularity of the spikes has led to the coming up of different ways to wear them. Some men have them as part of other hairstyles while for others as a distinct haircut. Regardless of how you have it, the design looks good, especially when done creatively or out of the norm and some quality products used to give hair some hold and shine. When it comes to this hairdo, the options are unlimited, and you can always find something that will make you stand out or that will go with your preferences. Since spikes are very common, most barbers and hair stylist can create them almost effortlessly. And if you are thinking of trying them out here are 60 cuts that will offer you some ideas on what to wear. This haircut demonstrates a nicely tapered quiff to create the sharp spikes. Hairs on the top are longer than the sides and back, but tapering makes sure that even the shorter ones still maintain the spikiness. Apart from tapering the quiff should also be given some hold with a quality product and upswept slightly to make it more visible. Since the side and back are short nothing more is needed besides from the tapering. A classic pompadour is a beautiful haircut by all standards, but you can make yours different and more attractive by spiking it. For this style, a few inches should be maintained at the crown while the sides should be given a skin fade. The longer hair is made spiky then styled into an amazing pompadour with a minor side parting. It’s interesting how this cut looks like the wearer just woke up and stepped out with an incredible hairstyle. However, contrary to how it may look it is a result of some styling and good razor work. Light hair wax is used on the hair but what gives it an almost shaggy appearance is that it has been made by running fingers through it. Before getting to the styling part, you need to use a razor on the sides to make them short and to create a perfect fade. 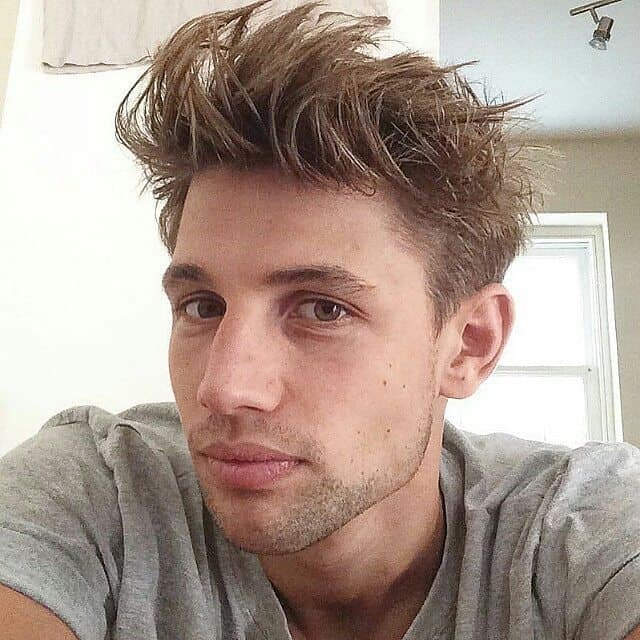 Wavy hair looks incredible when maintained well like in this cut. Wavy spikes here are well textured and voluminous and are made at the top section only, and the rest of the head buzzed out. This look is perfect for men with round or oval face shape and dark hairs because the waves look more detailed than in other face shapes. In this haircut, the color does all the magic and makes the edgy bangs look incredible. It is also quite a unique color choice because you will rarely find men going with platinum for their mane. The platinum highlights are created with a dark natural base and hence creating an amazing contrast that will make a man stand out. For this style, the cut is also important, but it is a conventional high top (three inches or more) and faded short sides and back. Bangs are simply massively sized thorns and are perfect for men who do not like to keep the traditional thin ones. However, even with some nice bangs, it is still important to know how to style them for a fantastic look. In this particular hairdo, the long and full bangs are front swept to cover the forehead and still maintain a somewhat messy look, and this makes them look very attractive. Flat and wavy hair is charming and offers a degree of versatility that you would not find in most other types of hair. In this look, a beautiful hair type is maintained very creatively for a perfect finish. It starts with a scissor trim to taper the sides and to make them short with the long hairs left at the top. A simple side parting is created, and then the long wavy hair at the top is brought forward to cover the forehead, and it should be long enough to flow all the way to the cheeks. This beautiful hairdo is a result of thorough blow drying, and it looks exquisite on a man that knows how to wear it correctly. You should first start by trimming the sides and back leaving only the crown hairs long. After this, some thorough blow drying will be required, and you will know that you have the right style if your super straight hairs can stick out over your forehead. You can arrange the sticking out hair neatly or just leave it as it is for a more natural look. Sometimes a pair of scissors is all that you need to get a great haircut. However, scissors need to be in the hands of a skilled barber. Otherwise, you may end up messing up the intended look. The best thing with scissors like in this style is the incredible texture that it creates. And so all you will need to do for a perfect acute locks is to use some nice hold product as the scissors did all the hard work for you. Men who are not crazy about sticking up their hair but would still want to get sharp look can go for this cropped cut. Here a longer length is maintained at the top then it is cropped and styled forward to cover about an inch of the forehead. Sides are then given a simple but neat high fade to finish the look. 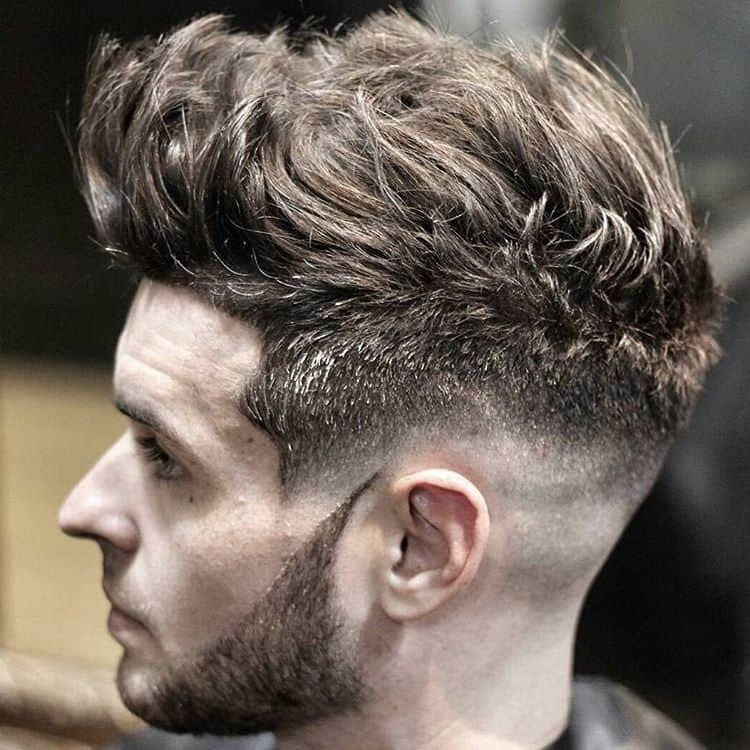 A pompadour in this haircut is amazing but what makes it a unique hairdo is extra height and beautiful undercut done on the sides. It is a style for people who like to wear spiky looks but still want to maintain their hair decent enough for formal or professional purposes. 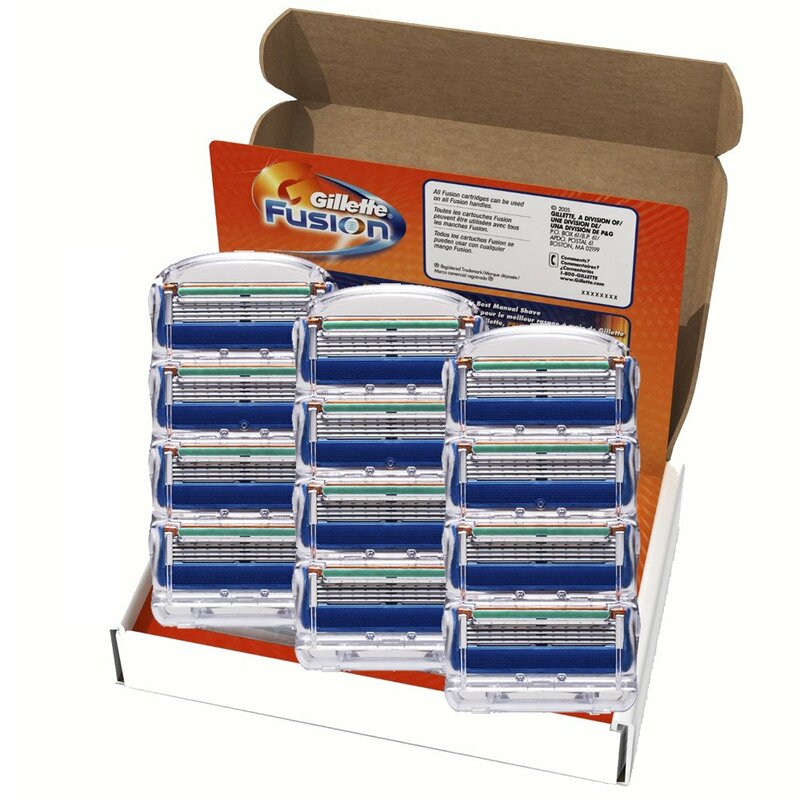 Sides are also buzzed creatively to add more beauty to the design. Hard part lines give hairstyles a modern touch and also make them look classier like in this particular hairdo. Here a longer spiked top is maintained with razor faded sides, but all this is very ordinary. The introduction of the deep line on the side makes all the difference. This contour stretches all the way to the center of the head, and it is probably what will catch most people’s attention in this haircut. As popular as the pompadour may be they all look the same but with a little effort and creativity you can make yours different. 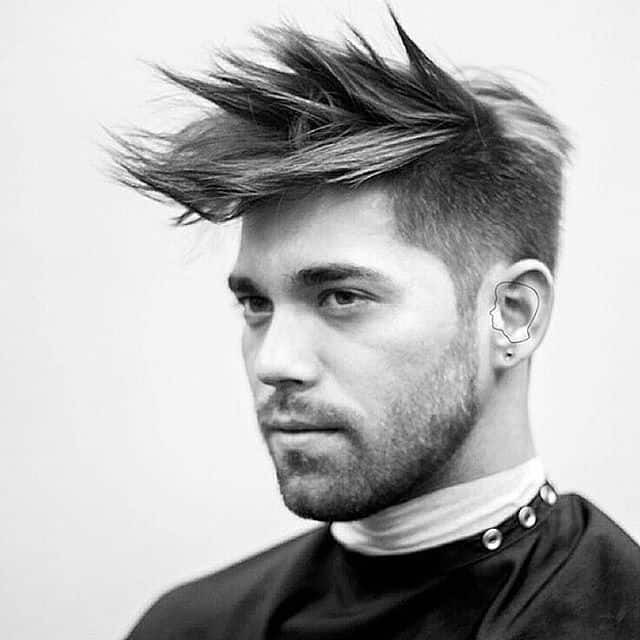 In this style, you should first trim the hair with scissors to give it some texture and taper the sides but make sure you leave enough length at the top. The longer top should then be made into a pompadour and then given a slight mess for it to look edgy and unique. Traditionally spikes are about two or three inches long, and they stick up to create what most people would identify as the edgy look. But you can add a twist and create a variation of this hairdo. In this design, they are longer than what you would typically find in other cuts and rather than sticking up they are styled frontwards. This cut is paired with facial hairs for fabulous man look. This style is quiff inspired as it maintains a quiff like in the crown. What makes it distinct is that unlike the classic cut it is slightly messy and not neatly slicked. Apart from the spiky top, the other notable thing in this hairdo is the neatly shaved and uniform short sides that help to complement the top. As common as the Mohawk might be you can make yours distinct and stand out from the crowd by making it prickly. Sides should also be faded instead of skin shaving like in other variations of the cut. Middle hair that is used to create the hawk should be about three inches or slightly long for the design to look more attractive. You should also be keen with the fade on the sides as it will determine how good the haircut looks. This haircut is an example of many things that you can do with your curly hair whether it is long or short. 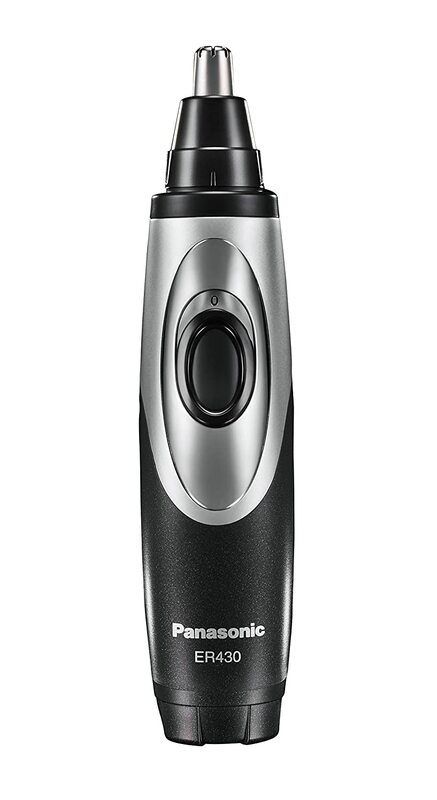 Curls are trimmed to a uniform length at the top (that should be a few inches long) and then sides are shaved close. Since the curls are already quite firm, they will stick up, and this is what creates the spiky appearance. Extra height of the upswept crown hair is one of the things that make this haircut beautiful, but the dark black color also plays a significant role. Although some men have a very dark hair, sometimes it may be necessary to do a dye job for the perfect hair color. Apart from this, there is also an interesting blurry fade done on the sides and it joins the neatly trimmed facial hairs to finish a look that any man would not mind wearing often. Side designs and patterns are perfect for enhancing even the simplest design, and they can transform it into an elegant hairdo. In this cut spikes are created at the top hairs while sides are faded. The mane is then given a comb over, and some razor shaved patterns made on the side and back to create a bolder look. However, the choice of design is also important, but the trick is not to overdo it because even simple ones look good enough. Contrary to what some people might be tempted to think spiky is not necessarily shaggy or unkempt as you can also get a very decent and elegant look with this type of hair. All you need to do for it is to keep longer crown hairs and short faded sides. Perfect angles that are created on the face with a razor are also necessary for the look but besides from it the only other thing that you need to do is to trim your beard short to match the neat look of your hair. The three aspects that make a great hairdo are texture, size and styling of the hair and this one seems to get all of them right. Although the hair at the top is not very long, it still has an incredible texture that creates an excellent contrast with the tapered sides. 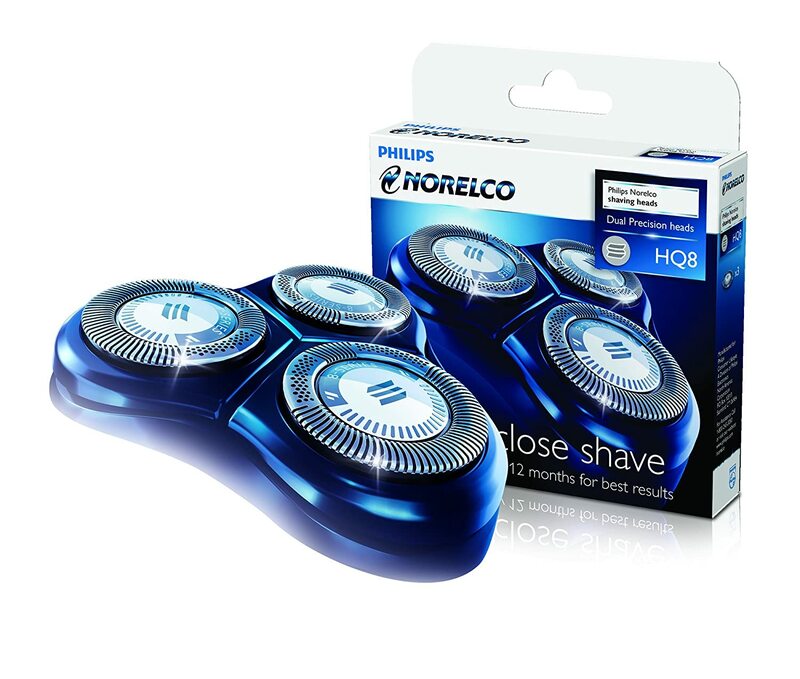 This cut will be best suited for men with thick, voluminous hair and almost any face shape. Creativity has no boundaries when it comes to cutting the hair and styling it. And so the only limitation is your boldness or how far you are willing to go with your hair. In this faux hawk inspired design the middle hair is not only messy but it is also given two different colors to create an incredible contrast. It made by the blonde and black colors with each covering half of the hair, it looks great and with this type of look, you are guaranteed to draw some attention. The hard part lines in this cut are what make it look extremely attractive since the spikes are excellently done but quite ordinary. Deep contours are perfect, but most people only use them to side part their hair, this haircut proves that you can create a very refined look using them. In this cut, the spikes are maintained in the top section while the sides are cut short but not to a uniform length. 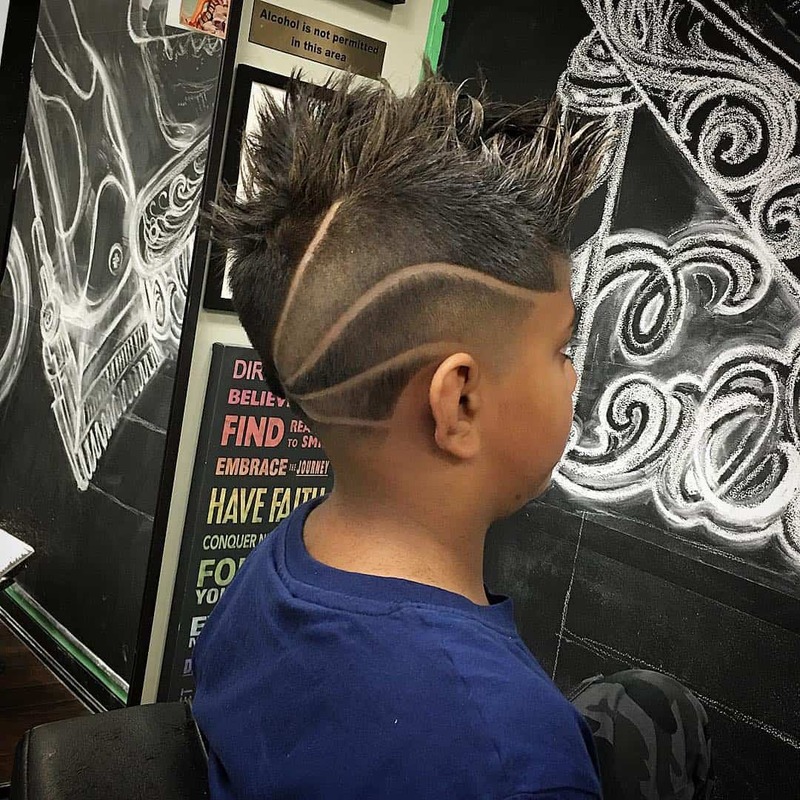 One-half is tapered while the other half is given a high fade and then a series of hard part lines are razor shaved to create an eye-catching pattern. A good haircut should make you stand out from the crowd. Even if it is an everyday hairstyle, there should be something about it that will give you an edge. The spiky Mohawk stands out because of the perfect hold that it has been given. And with the sides shaved to an almost bald level you can be assured that you will stand out from the rest. A full and neat facial hair will also do you good with this cut. Wavy top bangs that have been upswept to give them more height is what makes this sharp cut attractive. Apart from it everything else is just straightforward with sides given some undercuts for a perfect look. Some gel or pomade should also be used on the high top bangs. You can never go wrong with spikes as they require less maintenance and styling, unlike other more sophisticated hairdos. And whether you like the traditional styles or something more conservative there is always something to choose from and the above 60 spiky hair ideas will give you some inspiration for your next visit to the salon.